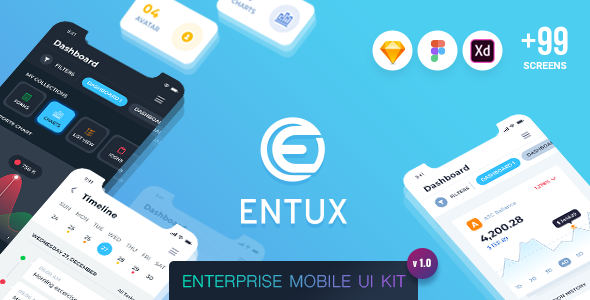 ENTUX is an Enterprise Mobile UI Kit that you can use to build awesome experiences for your enterprise apps across any industry. 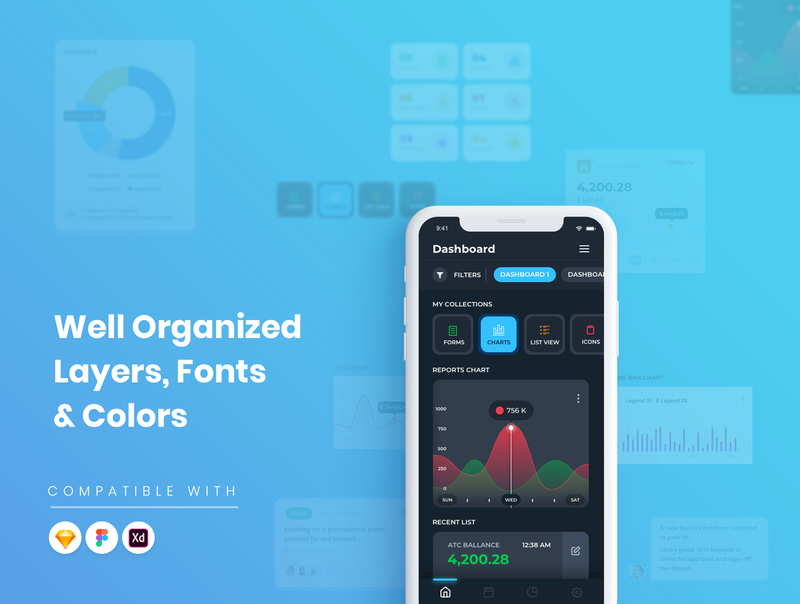 It is a modern, clean and a very detailed UI kit for iOS. 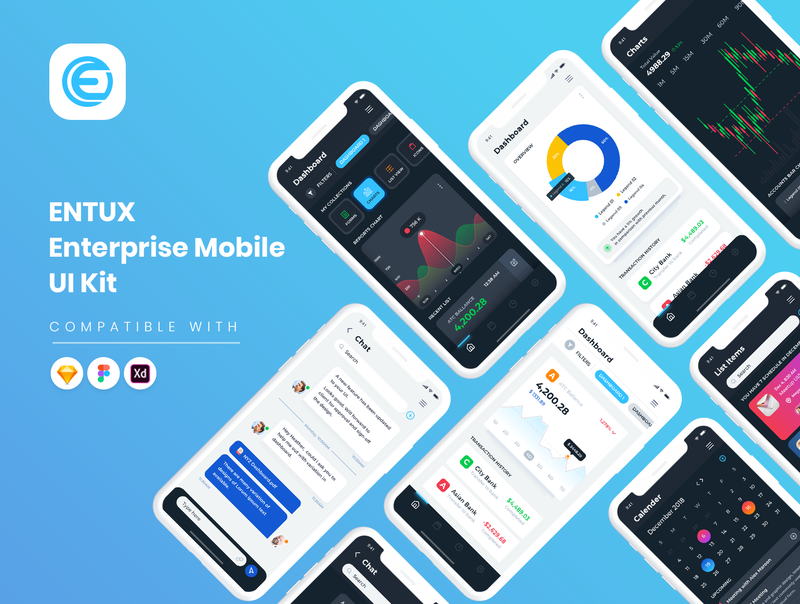 You can use ENTUX to craft efficient and usable experiences for your enterprise mobile apps to deliver winning experiences. ENTUX could also be used as an Admin UI Kit. ENTUX includes 5 Pre-defined layout options with 20 screens each. 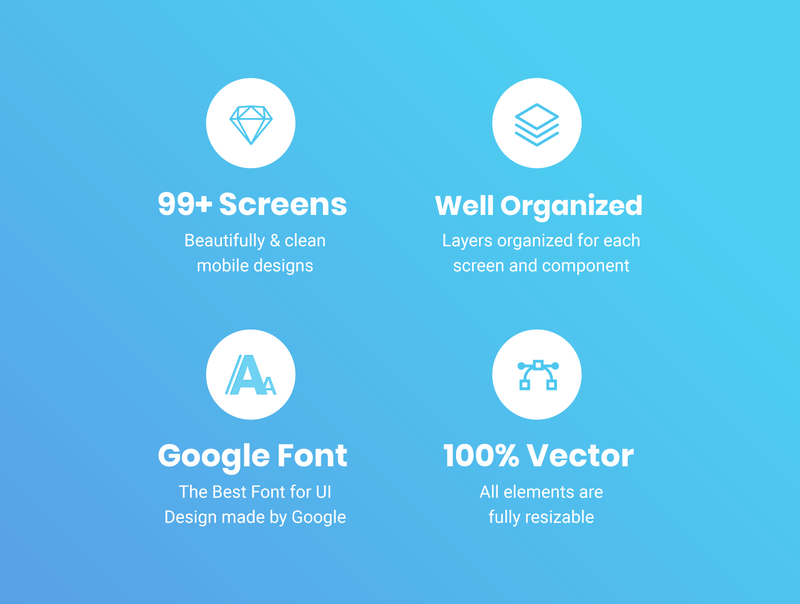 We have included more than 99+ functional and visually appealing screens that are carefully crafted for you. With a variety of UI components and layouts, you could create and easily customize your app as per your or your user’s requirements. All the symbols and objects that are used are in vector format and easily editable. We have created a Symbol library in Sketch for your easy reference and easy customization. 5 Pre-defined layout options with 20 screens each. 375×812 Resolution (iPhone X 52.5). For support please contact us at design@vrunik.com and we will get back to you within one business day.You can also email us your feedback and suggestions if any. Add or Replace Images: Select the Layers Group section of Artboard, double click on the Layer with Mask name, and you can adjust on the right side by clicking “Add image here”. You can also edit any text, color or any font file by double click and change the same. You can also download full or the trial version of sketch from here. https://www.sketchapp.com.